A superb opportunity to purchase a lightly used example of what is an extremely spacious Motoryacht. Benefiting from being owned by the same owners for a number of years she is offered for sale with low hours and in superb condition. 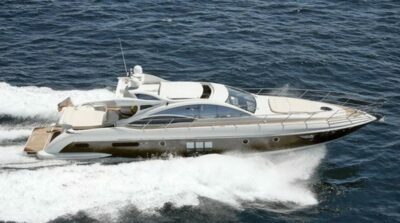 Her extenive full Mediterranean specification offers the buyer all the equipment needed for extended cruising. This is a well looked after 3 cabin version with a large garage to be able to store Williams 325 tender together with jet-ski. Fitted with the upgraded MAN1360 HP common rail diesel engines, ABT-TRAC stabilisers including stabilisation at zero speed, 2 Generators and hydraulic thrusters.